Can’t Finish A Book? Try These! March 13, 2011-Sunday: My friends in Victory Group (more info below) and new friends in Victory Metro East went to CRIBS Foundation (Create Responsive Infants By Sharing) as a way of celebrating two of our friends’ birthdays: Lanz’s and Tair’s. Most of the guys in the group, including myself, spent a good and fun hour to play with toddlers; while the ladies had a brief talk on true beauty with the teen girls and had a fashion show afterwards. We also served food, gave freebies and prayed for them. We had an incredibly awesome time together. On our way to our Uncle’s house, my brother and I shared stories about current life issues in his family and work. He lives just outside our village but we only meet at least once-a-week so it was also our bonding time together. We got a bit lost looking for his house because I only have been there once and my brother twice in a span of two years. After exchanging latest updates in our respective families, I took their family photos through my brother’s camera. March 19, 2011-Saturday: I was invited to give an inspirational talk at my younger sister April’s Antipolo National High School Batch 2011 Reunion (my high school alma mater too). I prepared an excellent powerpoint for them with photos of Raissa Laurel, Philippine Azkals and my family, injected a mix of quotations and Scriptures. I finished the talk in just thirty minutes and they were left impressed and hopefully inspired too. March 20, 2011-Sunday: An unprecedented but prayed-for event happened in our weekly Sunday Victory Group for Single Men yesterday. We had eleven attendees, with five new additional members (another new guy will attend next Sunday). Every Victory Group meeting is designed to be an avenue where we study biblical and practical principles and how it applies to daily life as we discuss personal, family, career and relationship matters. 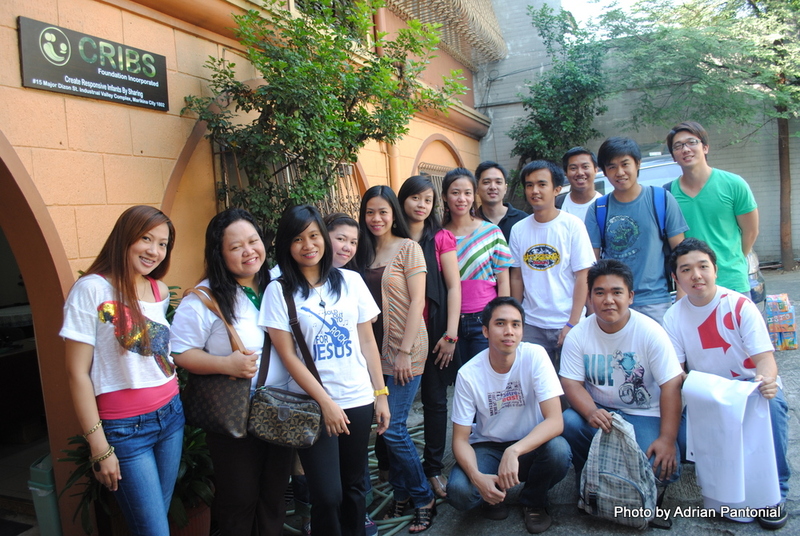 I have been leading Victory Group (used to be called a Cell Group) since 2003 back in Victory Quezon City. It’s always fun meeting new people, eventually becoming good friends with most of them. Leading a “band of brothers” can be challenging at times because of different personalities and values but whenever I hear answered prayers and see God’s power transforming lives–all my time, effort and prayers spent to it becomes all worth it. If not for God’s unconditional love for me (despite of all my sins and blunders), goodness that He showed upon me and my family and His grace to turn my life around, I will not be able to do all these things. To give Him back the honor and glory that He deserves is the reason why I do what I do. When I reach the end of my life, I don’t want to look back at it with regrets and see wasted moments. Hopefully when that time comes, I will have lived a life well-shared with a great legacy that will last even after I’m gone. How about you? How do you share your life with others? Sounds like you’ve been having a great time with friends and family. Glad to hear! I definitely had a wonderful time with them, Dr. Kang. Thanks for stopping by. Hope you have a great week ahead! Get inspired to live your legacy now through lifelong learning and personal growth. Type your e-mail address to be notified of new posts. LIFETalks Episode 4: 5-Minute Rescue Mondays: Embrace Change and Evolve! 5 Reasons: Bakit Dapat Matuto Ng English? Book Review: Bob Ong's "MACARTHUR"
Book Review: Bob Ong's "Stainless Longganisa"
All contents here are copyright of Adrian Pantonial unless otherwise stated. Unauthorized use of its content is strictly prohibited. Excerpts and links may be used if credit is given, with link to original content.